Charming "Old Town" Seal Beach Beach house! 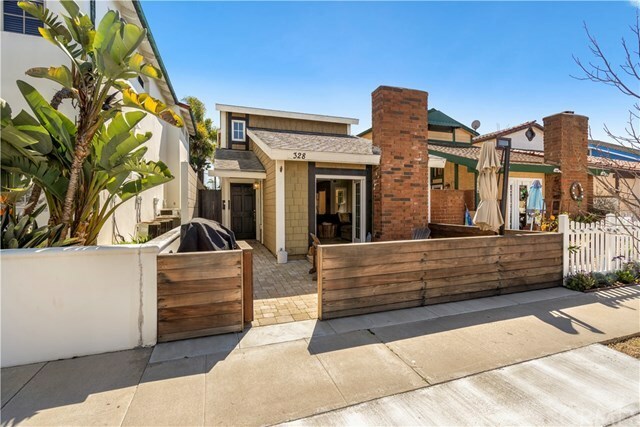 This completely remodeled 3 Bedroom, 3 Bath home is just 4 blocks from the Beach and .7 Mile from the Pier! Living Room with stacked stone fireplace also has vaulted ceilings and opens to the Front Patio. The Formal Dining Room opens up to a side Patio and to the custom Gourmet Kitchen with newer cabinets, granite countertop and breakfast bar. Upgraded KitchenAid Appliances, including upgraded built-in Refrigerator. Travertine Flooring throughout downstairs and Custom Hardwood Plank Flooring upstairs. Double paned windows throughout as well as Air Conditioning. Ceiling fans in each bedroom and in Dining Room. Built in desk area in Kitchen. This is a great home and is move in ready. For a complete virtual tour of this property, click the virtual tour link located above this description below the Google map next to the left of the pen.